REGISTRATION IS OPEN. REGISTER HERE! 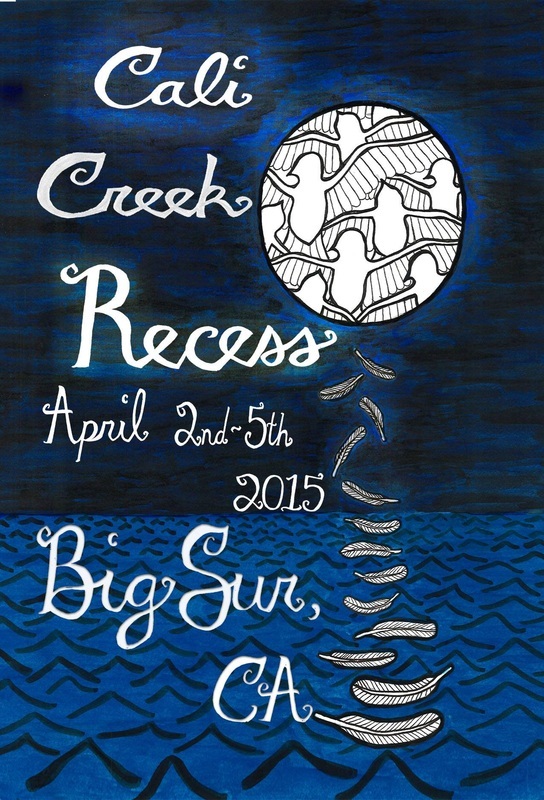 For 2015 our annual west coast Spring event is moving to warmer latitudes, the beautiful and world famous Big Sur State Park. Similar to our Oregon coast location at Drift Creek Camp, from the ocean you will drive 11 miles down a winding single-lane road to the hidden Pico Blanco. 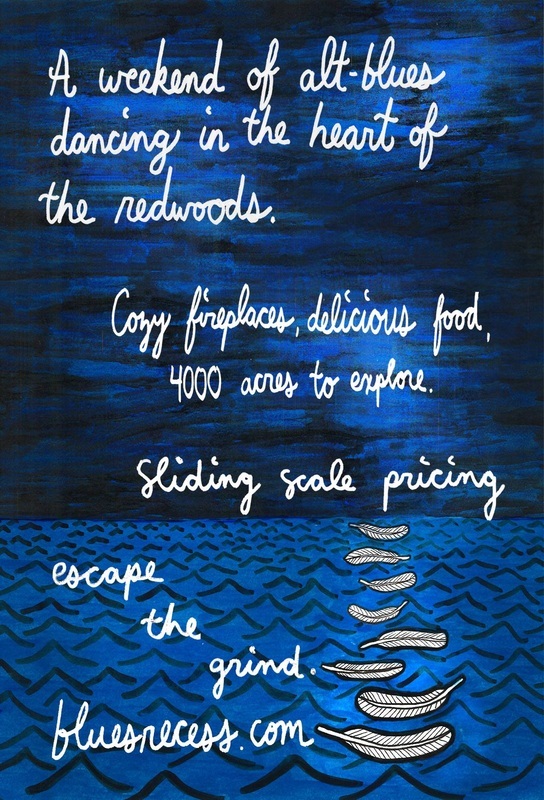 Where we will have 4000+ acres of costal redwood forests in the costal range of central California to ourselves. This year it is a camping event, so bring your camping gear. However we do have warm showers and an indoor lodge area and kitchen that rivals that of our Drift Creek Oregon location. There will be inside floor sleeping space for people flying in who do not want to check a tent. This Event is breaking Recess records as the most expensive venue we've ever been willing to rent... but at the same time, everyone has their own 4 person cabin! Please pay at the upper end of what you can afford to help make this event affordable and accessible for everyone in the community. Recess events are not run by some huge production company; they are run and produced by you! Every single person who registers will work one volunteer shift during the event. You will get to choose where you plug in: working in the kitchen, building one of our structures, helping folks register and find their way around, creating a enchanted ambiance for the dances, supporting all our hard-working volunteers…whatever you decide, you’ll be helping to make the Recess magic happen. When you arrive at the event you will have a chance to pick how you want to plug-in and who you want to work with. The Recess Bus will be leaving from Portland the morning of Tuesday, March 31st and making stops down the I-5 (Eugene, Sacramento, Oakland) as well as back up. This is the following pickup and drop off schedule. If you would like to reserve your spot on the bus be sure to pay for it during checkout as a DWOLLA note or as a "Donation To The Scholarship Fund," and then put your name on this BUS RIDER FORM, as the bus will fill up! The prices listed bellow are gas contributions for the rideshare. Sacramento Drop Off: Monday night: 4am. Location TBA. $25 one way. Build will begin Thursday morning, official arrival is at 4pm on Thursday, feel free to arrive before the 4pm start time, but plan to help us set up! Everything you need for camping. Sun screen and clothes to be in the sun for much of the day. Temperatures at night will probably be in the 50s with daytime highs in the 70s. Snacks, If you buy meal shares we will feed you three meals a day plus snacks, (with vegetarian, vegan, gluten free, and meat options). If, however, you have other crazy allergies or dietary restrictions, it's probably a good idea to bring some of your own food regardless of whether you buy meal shares. Your own eating utensils. We can't possibly provide enough cups, bowls, plates, and silverware for everybody without resorting to the environmentally insensitive use of disposable dishware. We will provide a washing station, but please bring a set of reusable utensils. Please note that during the event dishware inevitably becomes communal when left on our drying rack. Put your name and city on whatever you bring and don´t bring your grandmother´s china or anything else you'd be devastated to lose. Thursday Event Arrival Information: Dinner and opening circle at 6pm, feel free to arrive anytime earlier on Thursday, but know that we'll joyfully ask (and expect) you to help us set up! Music starts at 9pm. Daily Meal Times: (all heavy on the "ish"): 11am Brunch, 6:30pm Dinner, 1am Late Night Meal. Dancing Thurs/Fri/Sat/Sun nights:: 9pm - We stop, with venue changes and transitions. Monday Noon: We miss you already, thank's for the beauty! now lets clean up! Monday night post-party at Shades Of Blues in San Francisco. As always, collective meals and snacks will be available all day every day. Everyone who wants to eat with us can buy shares, and our kitchen team will pool all the cooperative food funds and volunteer labor, and use it to provide totally awesome meals made with the most fresh, local and organic food possible. Vegan and gluten-free options will be available at every meal. One share ($10/day) entitles you to 24 hours, which includes 3 meals. You may buy any combination of regular (vegetarian) or meat shares you like. The total number of shares you purchase should be the same as the total number of days you plan to attend (and eat at) the event. The first official meal of the event will be Thursday dinner, and the last Monday Brunch. If you would like to eat every meal with us, you will want to pay for 4 meal tickets total. Meat will be available at this event. Because meat is extremely resource intensive not just to produce, but to buy, refrigerate off grid, and prepare safely, meat shares will be more expensive. One meat share ($17/day) will entitle you to one day of meals, including two 3 - 4 oz. servings of meat. If you think you want twice that amount, feel free to purchase multiple shares for each day.